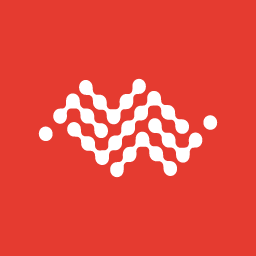 The AirLink ALEOS gateways are configured by default to communicate with AirVantage every day (24 hours).This periodic check can be disabled if you are not using AirVantage and the frequency can be changed in ACEmanager or from AirVantage. As of the release of ALEOS 4.6.0, we have introduced a new device management protocol that controls the communication between the gateway and AirVantage. Any devices that ship with ALEOS 4.7.0 or later will default to LWM2M. Devices that are upgraded to ALEOS 4.7.0 or later will have the Services > ALMS > AirLink Management Services > ALMS Protocol set to “Try LWM2M, Fallback MSCI”. This allows the gateway to attempt to switch to LWM2M, but remain on MSCI if your firewall configuration does not allow the device to communicate. 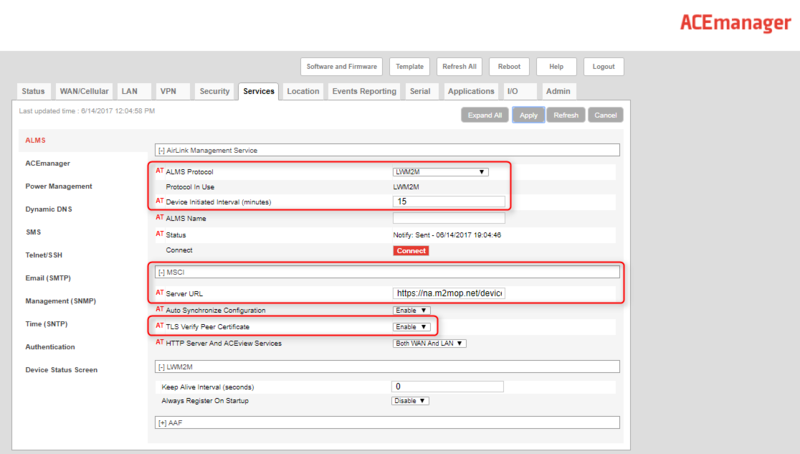 If your devices are communicating with LWM2M, you can confirm the configuration of a gateway in ACEmanager or AirVantage as follows, otherwise use the MSCI configuration below. Services > ALMS > AirLink Management Services > ALMS Protocol is enabled and set to LWM2M (preferred) or MSCI. Services > ALMS > AirLink Management Services > ALMS Protocol in Use identifies the current protocol used to communicate for the last session. Services > ALMS > Device Initiated Interval (minutes) set to the communication period of your choice (the default value is 1440 minutes). Services > ALMS > Device Initiated Interval (minutes) set to the communication period of your choice. You should always use HTTPS and not HTTP in the server URL (HTTPS being the default value for ALEOS) so that communications between the gateway (ALEOS) and AirVantage are encrypted. This ensures your information is not transferred in clear, and leverages the benefits of HTTPS such as confidentiality, integrity and server authentication. To register your ALEOS gateway, you need the Serial Number and IMEI for AirLink MP, RV, GX, ES, and LS families or IMEI or ESN for Raven, PinPoint, MP families. The ESN is the one in Hexadecimal format. Serial number is printed on the sticker label at the rear of device and is 15 or 16 digits long. Do not include the dash ‘-’ if there is one. Serial Number should match the Status > About > Serial Number or GlobalID (for older versions of ALEOS) in ACEmanager. 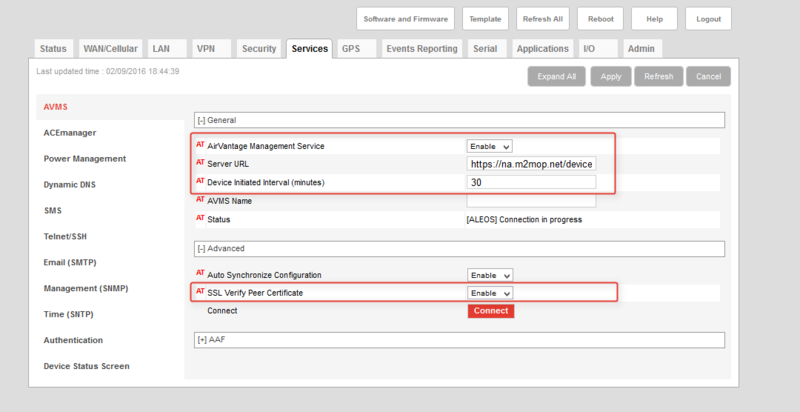 For information on firewall configuration, see How to configure my infrastructure when devices are in a private APN . For devices communicating on LWM2M the status will change as the device communicates. If the device is communicating succussfully, the status should be “Registration Update: Success” with a time stamp. Disable: ALMS communications are disabled. Appears when the AirVantage Management Service drop-down menu is set to Disable. ALEOS is waiting for connectivity: this transitory status appears when the gateway is in Connect-on-traffic mode and is trying to connect to the network for an AVMS check-in. 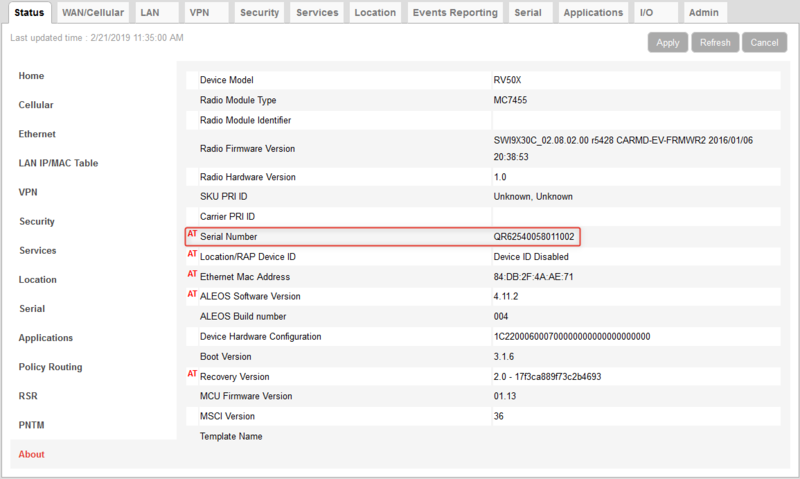 When the device connects to the network, the AVMS check-in is sent and the status change. A complete list of error messages is available in ALEOS Software configuration guide. .